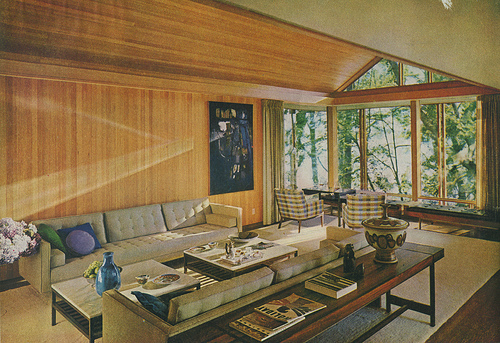 50s & 60s Interior Design | Shelby White - The blog of artist, visual designer and entrepreneur Shelby White. 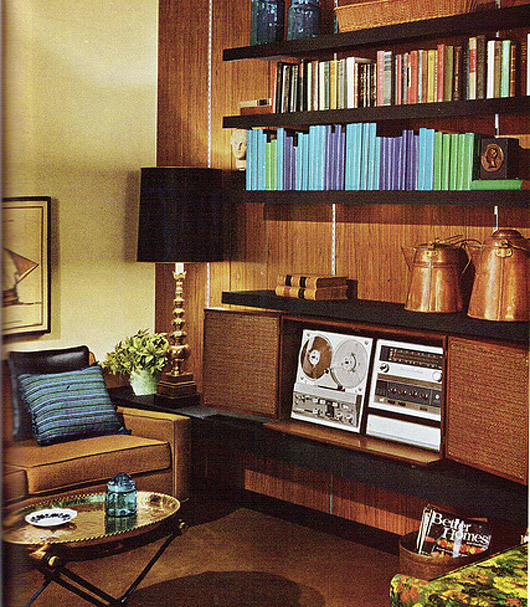 Some great images of 1950’s and 1960’s interior design. I think its safe to say that the light and color of these images are probably making it look much better than it may look in person. 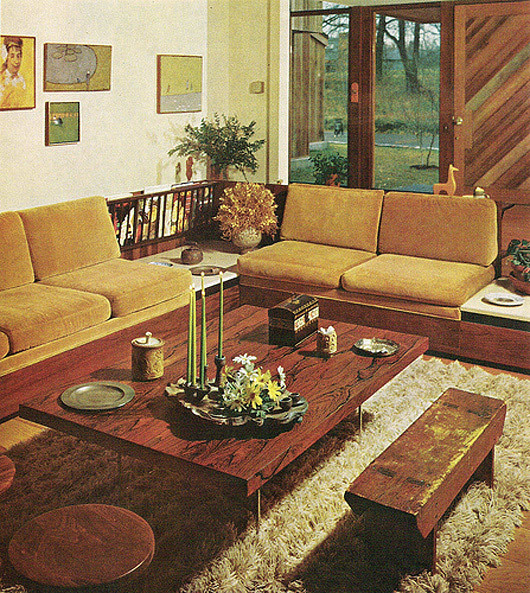 Regardless, I love the wood tables and walls. 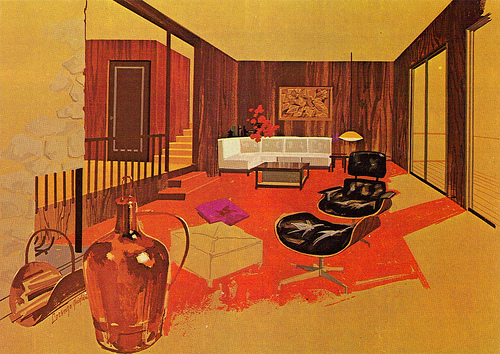 Can’t forget the illustration of the Eames chair–the best seat in the house. 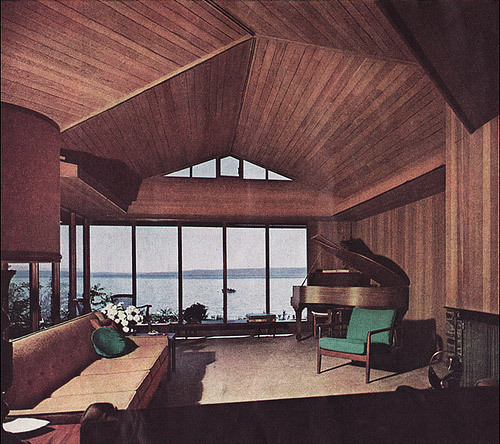 Images via Mid Century Home Style and FFFFound. Agreed. 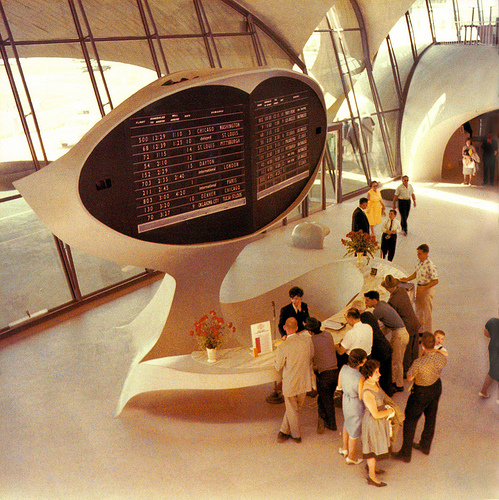 I need to get one of those Eames loungers. Thanks, I’m stoked to post more on here and on there. Cool photos Shelby! Hey, I have a sofa like the one in the second shot from the top… you should check out my chair collection when you’re back in Idaho sometime. Nice and Great Collection of Interior Designs Blog…. thanks for share this information….